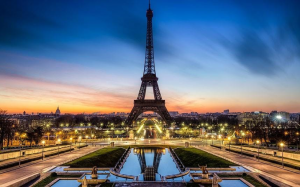 Paris, the city of lights, is a well-known destination all over the world. It would take a person months to explore the whole city so one might ask what do I do if I only have a short amount of time. In this time crunch situation, I offer a short cut guide on how to beneficially spend your time in this culturally rich city. If you are looking for a luxury place to sleep with a Michelin restaurant on floor one, I suggest you stay at the Four Seasons. 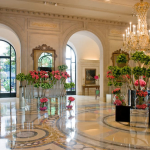 The hotels gold accents and pink and orange flowers are timeless and make the Paris experience top notch with class. Great service is always provided by the staff whether its making reservations, giving directions, or simply calling you a cab. 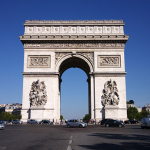 The hotel is nicely located by the Arc de Triomphe which provides close shopping and restaurants. If you are worried about price, I suggest only staying here one night or maybe just dropping in for a meal. Getting around Paris is very easy thanks to the countless cabs, but I suggest taking a Tuk Tuk. 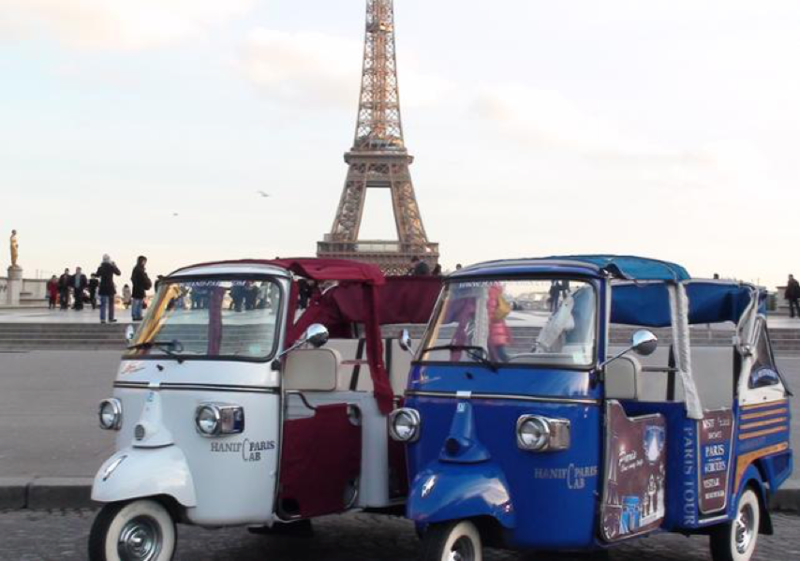 These door-less cars are perfect for showing the beautiful city while getting around Paris. They are not hard to find and can be found at almost every corner of the city. The price ranges depending on the destination, but they are worth the fun and beneficial sights. The Tuk Tuk offers a unique and exciting change of every day transportation. With all the history in Paris, a bucket list on what to see can be extremely hard to accomplish when there is limited time. To see as much as you can, I suggest hopping on a double decker bus and riding around to see each famous spot such as the Eiffel Tower, the Louvre, etc. 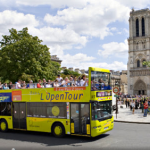 I personally used the company L’OpenTour and enjoyed every minute of it. When riding the bus, you do not have to worry about how to get somewhere or where to go first simply because the bus does it all for you. Sit at the top with your camera and complimentary headphones to listen to the guide as you drive past some of the oldest most beautiful sights in the world. A nice feature of the bus is that anyone may hop off at any stop to explore and return to the bus stop to get right back on where they left off. Thanks to this activity, more than half of your bucket list will be checked off. Side note: Hop off the bus at the Eiffel Tower and Louvre to walk around and get the full experience. I suggest entering the Louvre early and heading straight to the Mona Lisa to be time efficient due to crowded tourists. The Musee D’Orsay also is full of famous paintings and has a great restaurant beside the massive clock in the museum. Also if you don’t like buses, take the river tour! You won’t get the same perspective as the bus but will still learn a lot. If you need a break from history, hit the summer carnival located very close to the Lock Bridge and the Louvre. 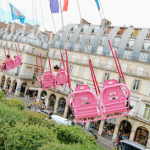 The pink swings and Ferris wheel offer great views of the city and Eiffel Tower. Shopping is also located all over the city with plenty of options of different style for all ages. There are a million places to choose great food from in Paris, but in a time crunch location is key. 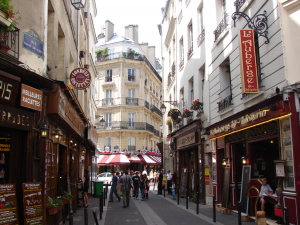 I suggest finding a meal in the Latin Quarter for lunch which holds many options and little shops all along the streets. 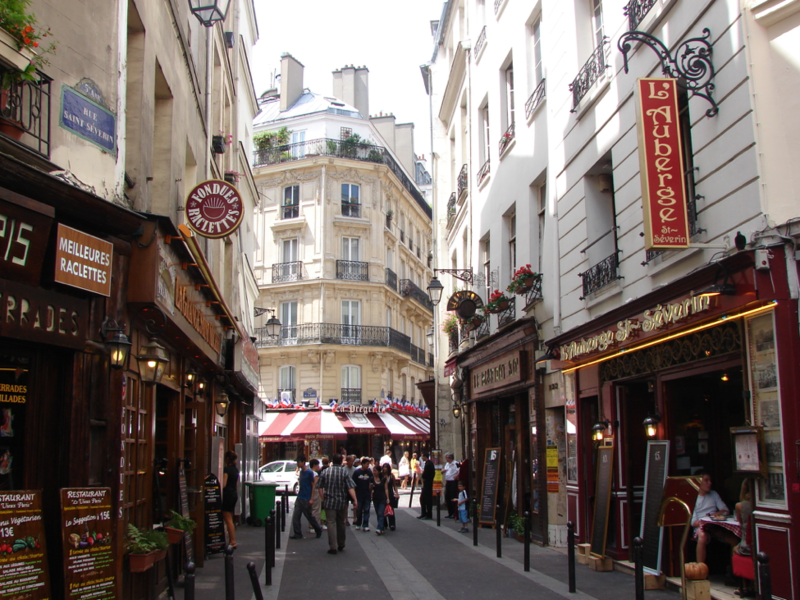 Food trucks and nice dining restaurants are everywhere; Food will be the last on anyone’s problems when visiting Paris. Side note: After dinner head back to the Eiffel Tower. Every hour after sunset the tall building sparkles with lights for 5 minutes. This is essential to attend! I hope my guide will do justice and help you benefit the short time you have in Paris.